Certified by the Arizona State Bar Association! Arizona Injury Law Group PLLC offer workers compensation legal services in Arizona, helping injured workers obtain justice with benefits, compensation and a voice standing up for you! 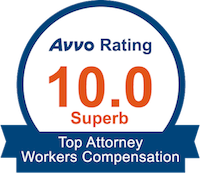 Wes Montrose and Briana Chua have over two collective decades experience and are Certified by the Arizona State Bar as workers compensation specialists. This means they are highly qualified to represent your best interests. Briana was so accommodating and definitely stepped out of her comfort zone in my case, I couldn't of asked for a better person to stand beside me through this horrific time in my life. She was the one standing by me all the way to the end and I could never put into words nor repay what that really meant to me.You couldn't ask for a more professional, knowledgeable, and personal attorney. Thank you Briana. I called Briana Chua after researching worker’s compensation lawyers online. I was impressed by Ms. Chua’s experience. When I called her office I was able to easily get in contact with her, which is nice. During our phone call she was willing to answer my questions with detailed, helpful answers. I greatly appreciate the time she took to speak with me about the confusing and stressful situation that I was in. Briana provided a free consultation and was amazing! She answered my questions, ALL of them and provided more information than I could have ever hoped for. Briana gave me a place to start/guidance. I highly recommend Briana!!! The use of the internet or this form for communication with the firm or any individual member of the firm does not establish an attorney-client relationship. Confidential or time-sensitive information should not be sent through this form. Practice limited to the State of Arizona.